“So the thing to do when working on a motorcycle, as in any other task, is to cultivate the peace of mind which does not separate one’s self from one’s surroundings. When that is done successfully then everything else follows naturally. Peace of mind produces right values, right values produce right thoughts. Right thoughts produce right actions and right actions produce work which will be a material reflection for others to see of the serenity at the center of it all. . . a material reflection of a spiritual reality. I think that if we are going to reform the world, and make it a better place to live in, the way to do it is not with talk about relationships of a political nature . . . or with programs full of things for other people to do. I think that kind of approach starts it at the end and presumes the end is the beginning. Programs of a political nature are important end products of social quality that can be effective only if the underlying structure of social value is right. The social values are right only if the individual values are right. The place to improve the world is in one’s own heart and head and hands, and then work outward from there. Other people can talk about how to expand the destiny of mankind. I just want to talk about how to fix a motorcycle. I think that what I have to say has more lasting value.” -Robert Pirsig, Zen and the Art of Motorcycle Maintenance, page 297. “To hold and fill a cup to overflowing / Is not as good as to stop in time / Sharpen a sword-edge to it’s very sharpest / And the edge will not last long. . . Withdraw as soon as your work is done / Such is Heaven’s way.” -Lao Tzu, Tao Te Ching, chapter 9. So this is my last review as Jazz Director at KXSC. I may still write a couple reviews before I graduate next semester, but for those who religiously follow the KXSC Ministry of Music, I will no longer be writing weekly reviews. I know my music reviews don’t always seem especially topical, but every single one of them could not have been written without listening critically to the album being reviewed. What I have tried to do is convey to the reader some ideas that the album has inspired in my own thinking. To paraphrase the Pirsig quote above, I have tried to write in a way that does not separate myself from the album. I’m not trying to expand the destiny of mankind, I’m just trying to review an album. Hopefully I’ve said something that has some lasting value. Thank you. In the mood for some short n’ sweet bubblegum pop? Then you’ve come to the right place. Whether you’re in the midst of a mushy gushy romance or suffering from a seasonal bout of depression like the rest of us, this newest release is for you! 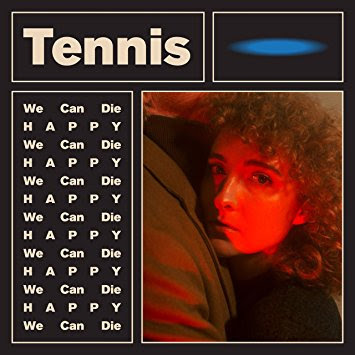 Having just released Yours Conditionally earlier this year, Tennis' newest EP feels almost like the deleted scenes–not that the bloopers aren’t fun to watch. They tend to complement each other, with We Can Die Happy serving as the frill to the more self-aware mockery of Yours Conditionally. The beauty of this newest release is that it’s easy listening, as both sonically and lyrically it’s unchallenging. Clocking in at just 16 minutes, it feels like the kind of thing where you blink and you might miss it, yet I would argue that this brevity gives it a sort of mysticism. And while if you’ve listened to Tennis before this EP won’t blow you away, it would be negligent to dismiss this work as merely a continuation of their previous work. The familiarity it provides is more akin to slipping on an old shoe than that of flipping through stations and hearing the same song over and over again. Something to note of Tennis’ artistic process is that not only are the duo husband and wife, but in both their introductory and most recent album they take inspiration from sailing adventures. Perhaps this reckoning of being away at sea, which represents a liminal zone where romance and tragedy are allowed to coexist, is at the root of their music. 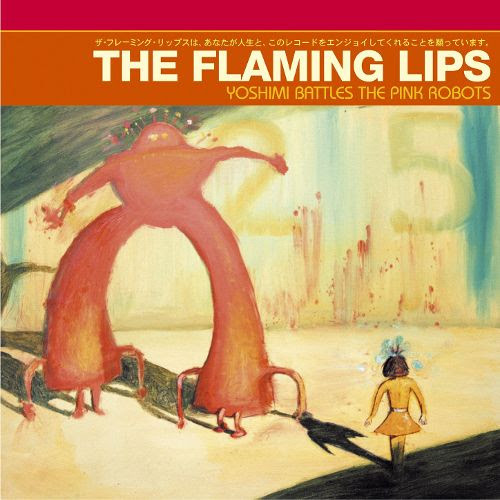 The combination of formulaic pop from yesteryear and sickeningly sweet lyrics creates a sense of longing. I’m sure this theory has been posited before, but it bears repeating. The seven members of the “Melbourne-based” psychedelic, genre-bending musical group King Gizzard and the Lizard Wizard are not Australian. No, instead, it has become increasingly obvious in the seven years since their inception that they are not of this Earth at all. They must be aliens. Their fresh November 17 release Polygondwanaland is just another piece of evidence that leads me to the conclusion that they are in fact extraterrestrials. First of all, this album was released, and will remain entirely in the public domain. They band has insisted that it will be available absolutely for free forever. This degree of generosity and deep belief in the importance of art as a communal, selfless endeavor are advanced traits that humans living today simply haven’t evolved yet. What’s more, this album is not their first release of 2017. It isn’t their second release either, nor their third. That’s right folks, it is the fourth full-length studio album that they have produced this year. They won’t be stopping there either, as their record label, Flightless Records, made a statement while promoting the band’s first 2017 album Flying Microtonal Banana that the group was planning on dropping five different full-length studio records in 2017. Indeed, they are known for being an exceedingly prolific group; since they started recording in 2012 they have produced a total of 12 full-length studio albums. Now I’m not in Viterbi, but according to my calculations that means, on average, they put out more than two albums a year. This data furthers my argument that these “Aussies” are really hyper-productive, evolved life forms that are blessing us earth-dwelling humans with their jazz-inspired psych rock magic. This band is prolific, yes, but what’s more, each of the four albums they have released this year is of quality and possesses a distinct personality and sound, all four experiencing positive reception from critics and fans alike. Polygondwanaland is no different, as they continue to develop their trippy, psychedelic side by incorporating a wide range of instruments and influences to create the aural equivalent of an optical illusion. They expertly blend one track into the other, so that they read more like chapters in a book than individual entities. The beginning of each song picks up with ease the themes and vibes that the following track left off with. Take the transition from “Loyalty” to “Horology,” for example. There are so many elements at play at the end of “Loyalty,” it makes your head spin. Juxtaposing the shrill feedback of a mic with fervent woodwind melodies and a driving backing percussion and guitar creates a feeling of anticipation that borders on anxiety. As all of this grinds to a halt, all that is left is a synthesizer that becomes louder and faster and spirals, without a cut, into the next track. “Horology” elongates this noise and then starts in with a new, quick chord progression and soft, expectant percussion underscoring. What distinguishes this album from their past three releases this year, however, is its harder, grittier sound that pays homage to experimental rock of the '70s and '80s. Their last record Sketches of Brunswick East, which was in collaboration with funky, wavy, local LA-favorite Mild High Club, was decidedly more jazz-influenced and mellow than Polygondwanaland. 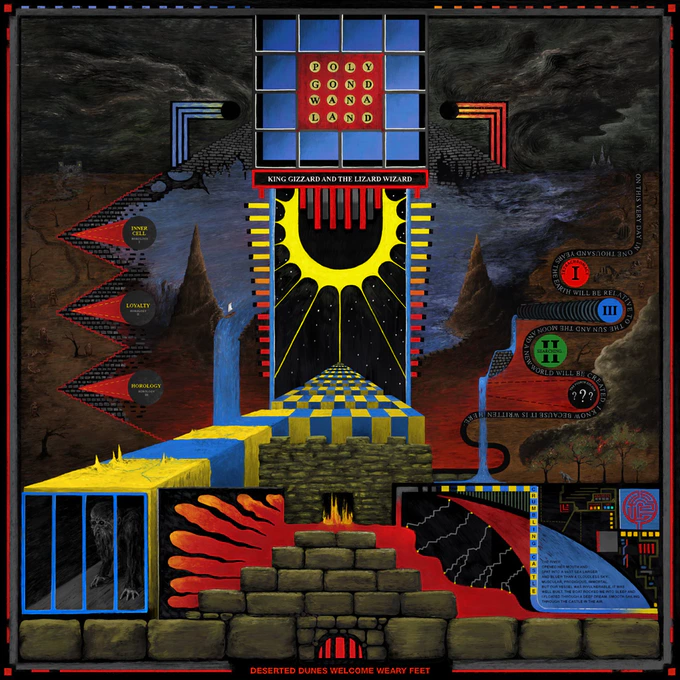 The opening track of Polygondwanaland “Crumbling Castle” signals this piece as distinct from past projects, as it almost immediately features the heavy, ominous tones that permeate the rest of the work. Pair this with a huge guitar sound and aggressive pacing, and you get a song that sounds halfway between MGMT’s zany and delightful Congratulations and the Doors.